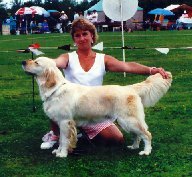 Dizzy was a Multi group and In Show winner. She also excelled in the field. She has produced two Champions for us.